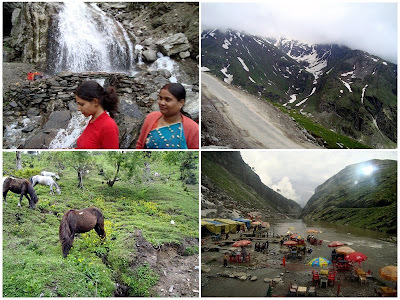 Rohtang | Exploring Mystic India! 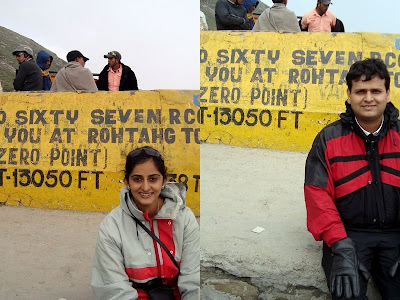 Our first trip as man and wife was not just a pleasure trip, but was probably a dream we had nurtured for a long time. This was my first trip to the northern India, and I honestly don’t remember what I was more excited about: getting married to my best friend, or taking a dream vacation with him. We had our intentions right, but relied too much on technology (read Yahoo! maps). 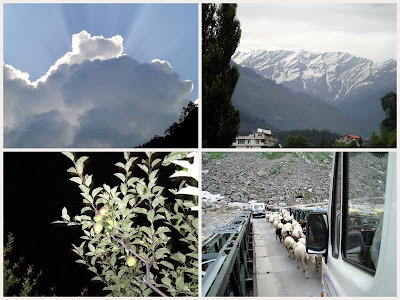 Instead of hitting the road at Delhi to reach Manali, we decided to go via Jammu. Result? We ended up spending more time on the road, plus we had to travel through two states; i.e. Jammu and Punjab. The ride, although a pleasant one, was a bit of a strange experience for both of us. 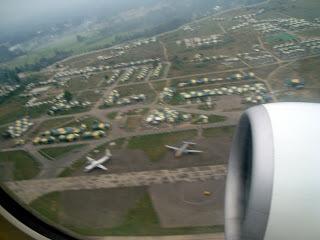 For beginners, we had never seen bunkers bang in the middle of the airport. Also, the airport is so small; you actually walk out of the plane towards baggage claim! Secondly, we had not expected every third vehicle to be a military van scouting the area. On the flip side, we also realized why Jammu is called as the “Land of the temples”, and got to sample the original “Punjab di lassi“. Through the late night travel, we were acquainted with many different facets of north India, the cattle herds, colonial bridges and the roadside dhabbas. We reached the outskirts of Manali at around 4.30 am the next morning, and we were awakened by the loud and furious gush of the Beas River. It was quite a thrill, we had never witnessed anything so scary yet so beautiful ever before. And then we finally started the hunt for our hotel, the address of which simply read as “The North Bank”!! So anyway, we located our hotel on the northern bank of the Beas River. We got a bit of rest and finally set off to our first location of the trip which was the Rohtang Pass. The roads leading to the snow clad strip of land was a destination in itself. We found horses grazing. We also saw a nice picnic camp along a shallow stream of the river. Enroute to Rohtang, we also saw the Rahata waterfall, which is at a altitude of 2,507 m. A few minutes further in the ride, and we had the first glimpse of heaven: fresh white snow!! But that was not even a glimmer of what was awaiting us. 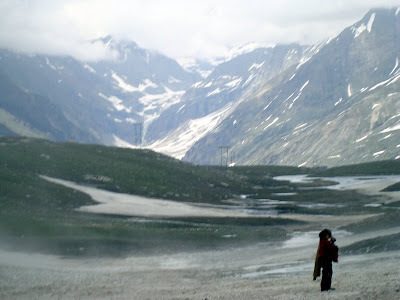 Once at Rohtang Pass, the beauty of nature was truly engulfing. 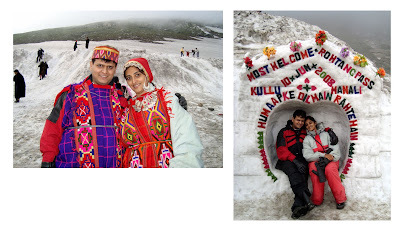 Let me tell you a bit about the geographical and tourist details about Rohtang. 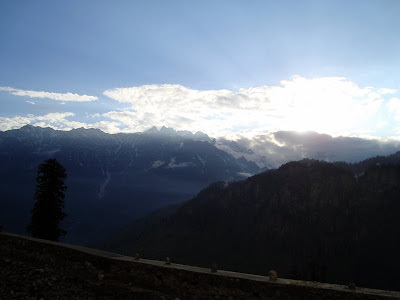 The Rohtang Pass divides the scenic Kullu valley from the Lahul and Spiti valley both located in Himachal Pradesh, at the foothills of the Himalayas. This pass provides the quickest route to reach the Ladakh region by road, and has become the most sought after summer route after the Kargil war.This tourist spot is open to visitors from the month of June to November, owing to heavy snowing had massive landslides, the pass remains shut for the rest of the year. The word ‘Rohtang‘ in Persian means ‘a pile of dead bodies’; this may be due to the mounting number of accidents the pass has witnessed. 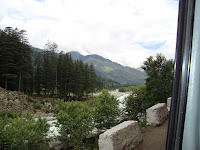 To south of pass is the ‘Bias Kund‘, marking the starting point of the Beas River. 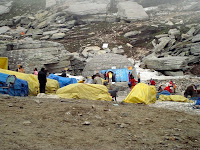 A temple shaped like a concrete igloo has been constructed around the glacier with eventually melts to form the gusty river.The pass lies at around 13,050 feet above sea level. You can have a breath-taking view (quite literally) at the Himalayan ranges of the Chinese region. Apart from tea and coffee, the main delicacies you can enjoy there are bread omelettes(for the carnivores) and steaming hot bowls of Maggie (for the herbivores) (in fact, the entire north of India should account for 60-70% of Maggie noodle sales!!) . The temperature there at the time was around -4 degree Celsius. On the tourist front, you get full snow gear on rent for Rs. 100 per head on the way to the pass, which includes a one piece windcheater, gloves and gumboots. You can enjoy skiing, sledge, horse and yak rides and you can also hire snow bikes at Rs. 500 per round. You can get your photographs clicked in traditional attire for anywhere between 50- 100 bucks. It’s completely worth the memories. Also, there is what you may call as ‘ice sofas’ which are carved to perfection in a two-hour-daily-ritual by the locals. You can get your pictures clicked for any anything between. 50-100 depending on your persuasion skills which serves as an added attraction. Spiraling down from the pass, you will notice glaciers on both sides of the road. According to our guide, it is the precise point where parts of the movie Jab We met was shot. On our way back, we had an opportunity to visit the beautiful Solang valley. This brilliant valley is house to many international skiing contests in the heart of winters. But the place is very green and earthy in the summers and rains. 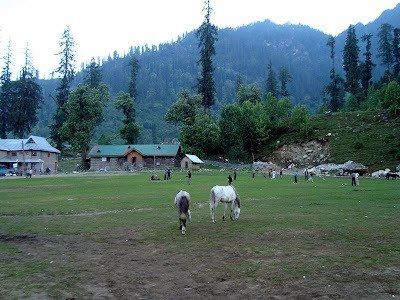 You can enjoy many adventure sports in the valley like gliding, zorbing (rolling inside a cushioned ball filed with air) and horse riding in the summers. Popularly known as the snow point of Himachal, the valley is house to the very world renowned 300-meter ski lift. The point is also a popular base camp for avid trekkers. We returned to the comfort of our hotel room for the night. The next day promised to be another wonderful and adventurous chapter of our life. Day Two was even more action packed than day one. On the agenda were Manikaran, Vaishist sulphur hot springs, and a river rafting experience on the Beas River. Manali experienced light showers in the night before day two, and we were amazed to see fresh snow peaks formed across the horizon of tall mountains. The entire road was laced with hundreds of apple trees on the both sides. There were hoards of cattle walking right in the middle of the road! Even the cloud formations were a delight to capture through the camera lens. 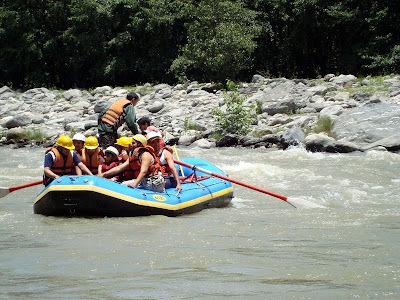 We started off with the river rafting on the Beas River. Sumeet and I strapp ed on the life jackets and helmets that were given to us and were among the first to board the inflated raft. You have an option to raft for a 3km. stretch or the full length of 7km; the rates vary accordingly. Fortunately or unfortunately, Sumeet was sitting at the head of the raft with me on his left. The poor soul took all the waves head on! But that undoubtedly, was the most adventurous activity of the entire trip. After drying ourselves up, we proceeded on to explore the religious and mythological sites of the region. The next stop was Manikaran. The entire location displays a strike amount of religion and cultural diversity. 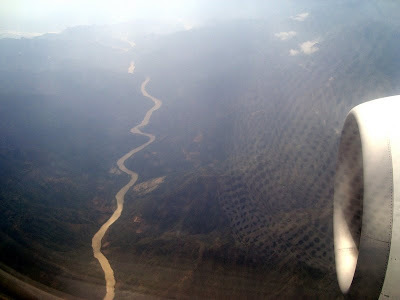 A river flows across the region which very heavy gusto. Atop the river is a Gurudwara. The region also has a Ram temple and many sulphur hot-water springs. Let me iterate some of the popular folktales about the various monuments of the area. It is believe that Goddess Parvati accidentally dropped her bejeweled earring (mani means pearl, and karan refers to the ear, hence the name Manikaran, or the jewel stone of the earring) on Earth and a serpent deity named Shesh Nag seized it. Shiva had performed the tandav nritya to recover it. Seeing Lord Shiva in rage, River Ganga starting flowing in full gush as a result of which, and the jewel shot up through its force. It is believed that the river named Parvati after Shiva’s wife continued to throw out jewels until early 1900. The Gurudwara on the other hand has a tale of its own. Legend has it that Guru Nanak came to Mani Karan along with his Five ‘Piaras‘ or followers. Tired and hungry, the guru and his followers hunted for food and a place to bathe. When they could not find anything, the guru magically created an extremely hot water spring. A bath is located below the gurudwara. The gurudwara also has a langar where rice, dal, chappaties, sabzi and tea is cooked through the steam of the spring and distributed free to everyone who comes to offer their prayers in the gurudwara. 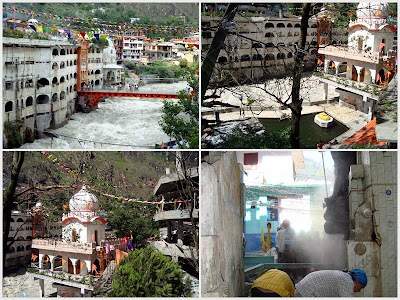 Also located in the center of the town of Manikaran is the Sri Ramchandra temple. 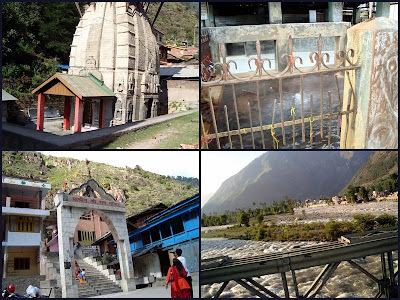 The idols of the temple have their roots in Ayodhya, and have been installed in Manikaran by the King of Kullu. The folklore however states that the trio of Lord Ram, Lakshman and Sita had one of their stops here during their 14-year-long ‘Vanvas’. Sita being a princess, wanted to bathe, but the water was too cold. Hence, Lakshman used one of his ‘Agni Bann (arrow)’ and the agni kundh was formed. A rath yatra commemorating Ram Navami is carried out of the town every year. On the outskirts of the town, you can witness the sangam (amalgamation) of the two rivers River Parvati and River Beas. We ended the day with a visit to a traditional Kullu shawl making factory. Kullu is also house to the Angora rabbit, an original inhabitant of Angora in West Germany. 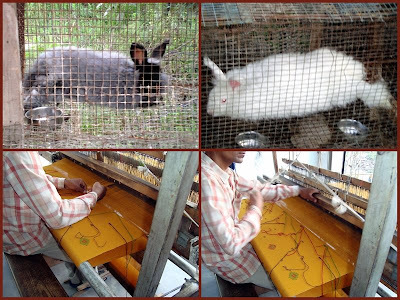 This rabbit is reared for its wool from which the famous angora woolen articles are made. 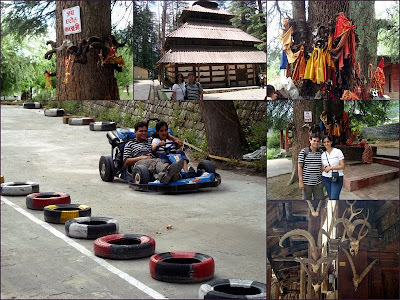 The final day was reserved for local site seeing at Manali. The local tourist locations include the Hidimbi devi and Ghatothkatch temples, the local monastery, and the club house. Hidimbi according to the Hindu epic Mahabharata was a rakshi. She was married to Bhima, who was one of the pandavas. Ghatothkach was their son. These are the only known temples of the two deities. At the club house, you can enjoy video games, bungee jumping and go karting. We ended the trip by visiting a local monastery. We realized various diverse facets of Buddhism and their praying methods. 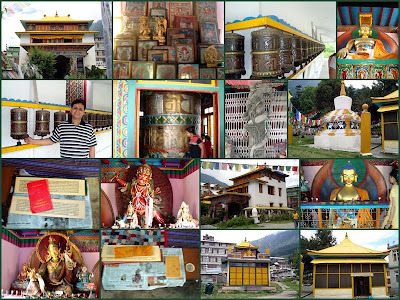 The Tibetan monastery gives you with immense sanctity and peace. The monastery is an institution for young Buddhists to discover and explore the teachings of the Buddha. In the center of the monastery stands a huge Buddha statue along with other Buddhist deities and artifacts. Outside the monastery, you will find colorful prayer scrolls fluttering with the wind. 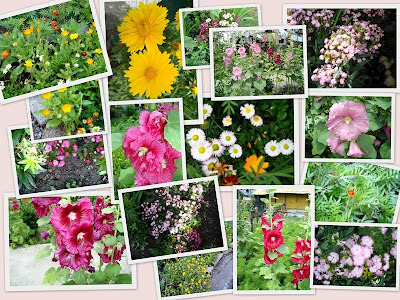 The entire Manali is surrounded with flora which can soothe your very soul….what a way to end a perfect trip!! 9th June – 12th June, 2008.